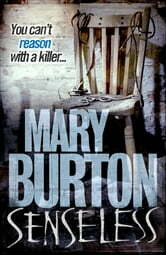 Senseless is the first in a two-part series by Mary Burton - America's dark mistress of crime. Every Serial Killer Knows . . . The vicious burns scarring the victims' flesh reveal the agony of their last moments. Each woman was branded with a star, then stabbed through the heart. With every death, a vengeful killer finds a brief, blissful moment of calm . . . Ten years ago, Eva Rayburn and her sorority sisters were celebrating the end of the school year. That party turned into a nightmare Eva can't forget. Now she's trying to start over in her Virginia hometown, but a new nightmare has begun. Every victim is linked to her. And Detective Deacon Garrison isn't sure whether this mysterious woman needs investigating - or protecting . . .
Only Eva's death will bring peace. Only her tortured screams will silence the rage that has been building for ten long years. Because what started that night at the sorority can never be stopped - not until the last victim has been marked for death . 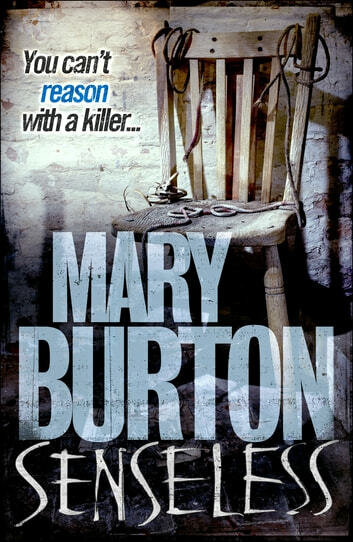 . .
Senseless precedes Merciless in a two-part series from Mary Burton. What does the killer pass on in his cryptic message that leads to the drama of part two?